As an interior enthusiast, I'm forever switching up my homeware and lusting after new pieces, but I do have a consistent style; light and cosy. These two don't often go together when it comes to interior, but I feel like I've finally found a good balance between the two and I thought that I would share my top tips on creating your own space too. Lightweight Blankets Are Your Friend | As a constantly cold person, I always keep a few blankets to hand, just to make sure I can wrap myself up in them. Blush pinks and light greys are great colours to work with as they easily to incorporate themselves in to any room, but I do find that the more lightweight they are, the easier it is to drape them over the side of the sofa or fold them up to go into a blanket basket which avoids cluttering. Keep It Simple | Rather than having a flourescent sofa or a statement rug, I often leave it to my homeware accessories to do the talking. Don't get me wrong, I would love a vibrant pink sofa, but for me, I prefer to add texure in the smaller ways through the use of fluffy cushions and decorative flower vases as this reduces the risk of colour clashes, clutter and wasting of money. A Healthy Dose Of Greenery | The easiest way to make a space feel light and airy is through the use of plants. Whether it's using air plants as an ornament on the wall, having a big cacti in a pretty planter or simply just dotting around succulents. All of these can help make your house feel cosy too, plus with a quick switch up from a weekly bright bunch of flowers to a garland of pine cones, it can be easily adaptable from Summer to Autumn with ease. Negative Space Can Work In Your Favour | I'm an avid believer that crisp, white walls can help to transform a space, but leaving some negative spaces can work just as well. 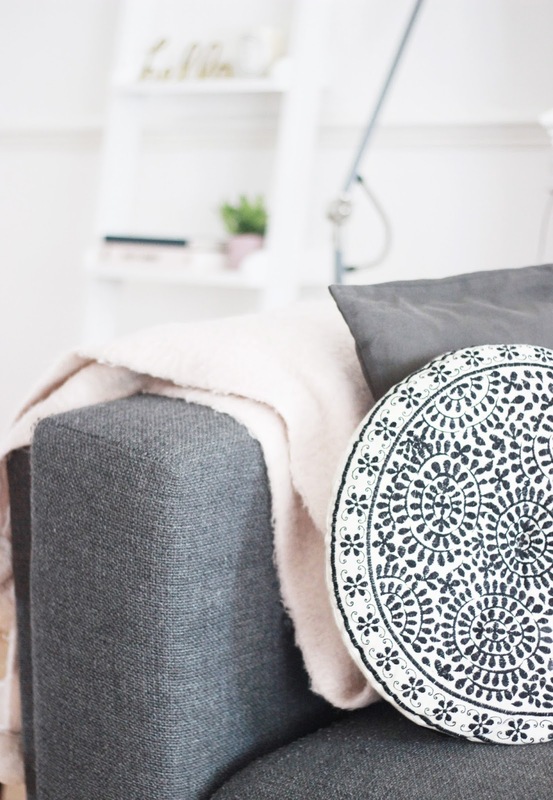 I think it's super easy to assume that adding more prints to a wall or filling every empty floor space with a rug is key to making your home feel cosy, but in fact it can feel rather cluttered instead. I find that switching around current ornaments, testing out new spaces and really thinking through what homeware I need helps makes sure that I still leave space to move.